If you’re planning on taking the train in the UK during the next week you should brace yourself for possible disruptions. The cause? Multiple strikes combined with track maintenance scheduled for Christmas Day. 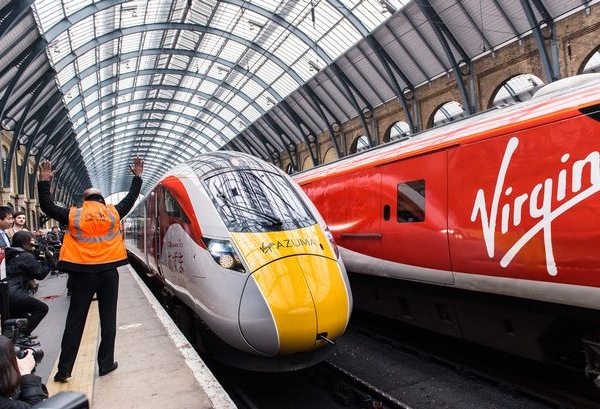 Unions have called 24-hour stoppages for workers at Virgin Trains West Coast on Friday, December 22, Greater Anglia on Wednesday, December 27, and South Western Railway on Sunday, December 31. While the RMT union has called four days of strikes on the Cross Country train franchise on December 23, 24, 27 and 31. More disruption will also be caused by Network Rail closing some lines as it carries out more than 260 engineering projects across the UK over the festive holidays. Network Rail said in a statement: “In some parts of the country, work will begin on Saturday, December 23, this year to give engineers four clear days to make uninterrupted progress on vital projects, so passengers should check their journeys for this coming weekend in advance. Workers for Virgin Trains West Coast are also due to strike on four more days in the new year – on January 5, 8, 26 and 29. Virgin Trains said it planned to run the “majority” of its services on the five strike days, including December 22, although there will be no onboard catering on these days as it concentrates on running as many trains as possible.